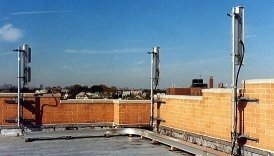 Wireless landlords with cell tower leases or rooftop cell site leases are always going to be fighting an uphill battle on an uneven playing field when negotiating cell site leases or cell site lease extensions or renewals. Additionally landlords are hit with a barrage of antenna lease rent reduction solicitations and so-called lease optimization offers which are often times very confusing. On top of this wireless landlords are regularly contacted by cell site lease buyout firms involved with cell tower lease purchases. You can bury your head in the sand or simply take a few minutes to find answers to your questions at the leading wireless telecommunications leasing firm in the United States, Tower Genius. OK... Here's the bottom line regarding cell site leases, and let us be blunt. If you get approached by a cellular carrier or one of their cell tower site acquisition leasing agents, chances are that they are going to try to low-ball you or the carrier will try to screw you out of money in the lease. It's the sad nature of the wireless industry. Even minor details in your cellular tower lease can cost wireless landlords and landowners hundreds of thousands of dollars over the lifetime of a cell tower rental contract. Cellular tower leases are a lot different than typical real estate rental contracts and even a good real estate attorney will often have difficulty analyzing and marking up a cellular tower lease – frequently to the detriment of their clients by negotiating them out of the deal. Tower Genius wants to be your Cellular Site Leasing Go-To Expert and Advocate. We Are A Cell Tower Landlord's Best Friend. Increasingly, cellular carriers and tower developers are playing hardball with landlords and property owners and using low-ball negotiating tactics that make it extremely difficult to get a fair deal on the cell site leases they are offering. 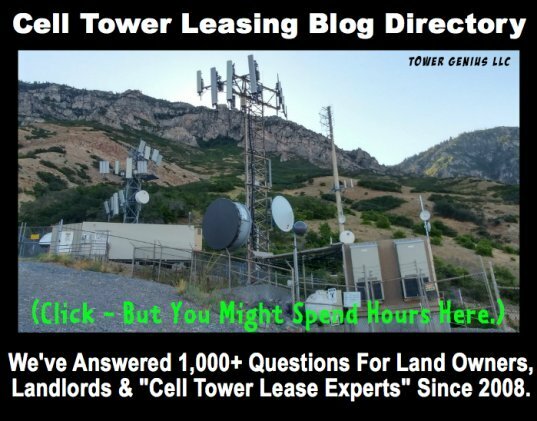 Wireless landlords, if you have questions about reviewing or negotiating cell tower leases or have been contacted by a cellular carrier about leasing ground space for a cell tower on your land or about leasing rooftop space to place cellular antennas, you probably have a lot of questions. Especially in tough economic times, carriers know that people are less likely to argue about cell site lease terms and will trade-off low-ball offers for financial security and long-term cash flow, especially when they can't afford to hire an expensive cell tower attorney. Have you read your cell tower lease and have questions about your rights or are you in need of assistance in negotiating a cell tower lease? Does the idea of paying an attorney thousands of dollars up-front as a retainer based on the scare tactics like, "Can You Afford Not To Hire An Attorney" -- make you sick in this economy? The Partners of Tower Genius have several decades of combined experience in the review and negotiation of cell site leases. All of our cell tower leasing services are provided on a performance-based and contingency basis, so we are MOTIVATED to get you RESULTS, and your pay us on the back-end. Our cell tower lease assessment and review of your cellular tower lease can provide you the peace of mind that you are dealing with wireless carriers on a level playing field. Who Are We? And Why Should Wireless Landlords Care? 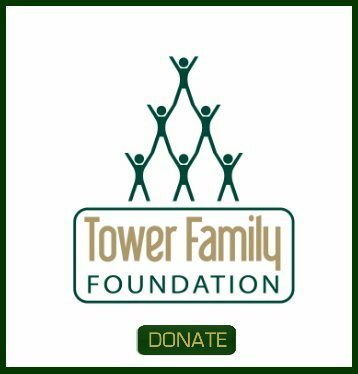 Tower Genius is boutique Cell Tower Consulting firm that is independent of any of the wireless carriers. Simply put, we don't work for ANY of them. 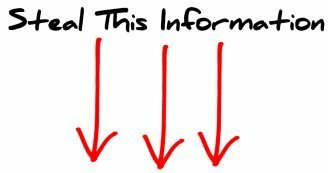 We are not cell tower attorneys nor do we offer legal advice even though we regularly tell attorneys what they need to do regarding cell tower leases ;-). We ARE however EXPERTS in the Cell Tower Development and Leasing Industry, wireless telecommunications consultants with over 45+ years of combined cell phone tower site development and cell tower leasing experience who know the ins and outs of cell tower development and wireless lease negotiating. We offer a unique service and an affordable alternative to Owner/Landlords seeking a cell tower consultant but who don't want to deal with an overpriced attorney who bills them hourly but has no incentive to negotiate a better deal for them. We are street-smart telecommunications consulting and leasing experts. 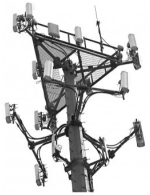 We can answer any questions that you have about cell towers, namely your cell tower or cell site. We can solve complex leasing problems, we mitigate problems and resolve carrier / landlord disputes and conflicts without having to involve expensive attorneys who just seem to want to litigate. We are very good at what we do. We provide cell tower lease consulting services for Property Owners and Landlords across the United States. Our Partners have worked in-house at the cellular carriers, worked as subcontractors and cell site leasing and acquisition consultants, and own and manage cell tower properties. Wireless Landlords - Contact us today.